Originated from India’s Chaturanga, chess is one of the most popular and culturally significant board games worldwide. By common consent, chess provides a way of intellectual stimulation that trains rational thinking. On October 29th, we arrange a chess class for beginners. 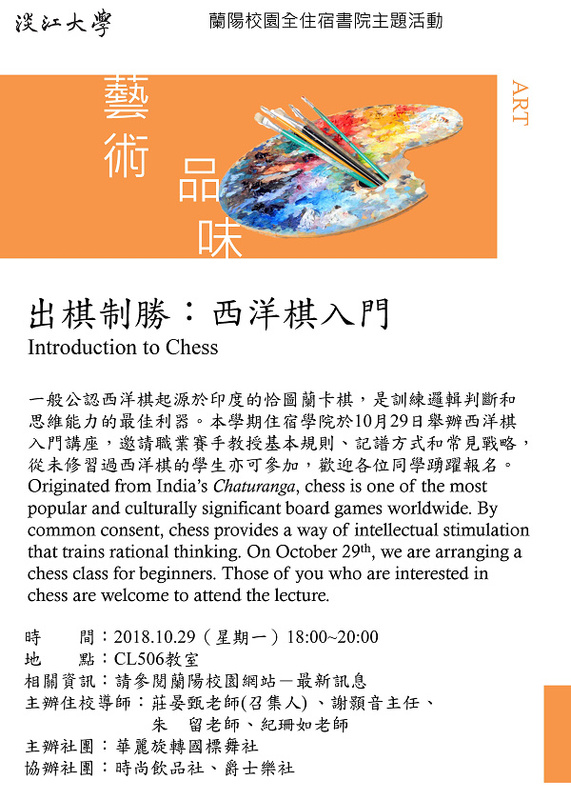 Those of you who are interested in chess are welcome to attend the lecture.